There’s a lot of pressure on roofs to perform. We expect so much of them, but rarely consider how much we should be doing to help them in their duties to keep us dry and warm. With a little support and care our roofs can last for a very long time. Upkeep of your roof can, naturally, be contracted out,but there are many little things you can easily do yourself from the safety and comfort of a scaffold tower: straighten a tile, patch a leak or clean the tiles. The lines of black or orange on the roof are algae. They’re wonderfully easy to remove, simply with a concoction of baking soda and water squirted on with a garden sprayer from the comfort of your scaffold tower. have a moss free roof, with all the nails undamaged. Pull off the piles of leaves and twigs that gather in the valleys. 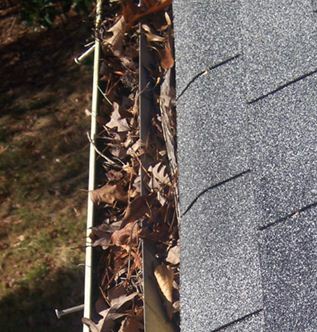 They dam up the rainwater, so if you leave them your roof is likely to be more prone to leaks. From the scaffold tower, use an indoor broom to pull the debris off the roof. Tiles are easily damaged or even broken merely by an especially windy winter or surprisingly sunny summer. Admittedly the odd tile out of place isn’t going to create havoc, but it doesn’t look all that nice, and it does increase the chance of leaks. Even without a roof ladder, which can also be hired along with a scaffold tower, you can change a tile if you don’t have to stretch far out from the tower. While you’re cleaning and servicing the roof, you are also able to see what needs to be done on a larger scale. To change a rogue tile you’lll need two pry-bars, a nail hammer and the substituting tiles – and your scaffold tower, of course! First off, you need to ease the tiles around the broken one, up. One pry bar should life the tile up and to the right of offending tile; the other pry bar does the same to the tile to the left. Once these two tiles are raised, it’s easy to slide out broken tile smoothly from the back-end of the tile first. Ease the replacement tile into place, ensuring it latches onto the roof baton. When you’re finished remove the pry-bars from the other tiles and you’re done. Many recommend inspecting your roof using binoculars from the ground, but surely that doesn’t make complete sense. The angles are wrong, you can’t clearly see anyway, especially around the edge of the roof and above the guttering. Hiring a scaffold tower puts you right up close and personal, so you can see exactly what needs to be done. Why not coordinate a roof inspection with a professional roofer? That way you get his expert knowledge AND you can see exactly what he’s talking about. So what should you be looking for? Cracks at the base of the chimney breast; check the state of all the chimney bricks as well. 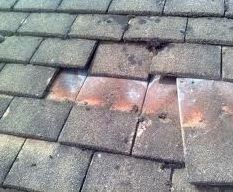 For asphalt shingles problems need to be sorted if you can see darker areas, if any of the tiles are looking a bit used, or if they are coming away. Something else you should test are the nails and metalwork, and decide if anything needs to be upgraded or fixed. A little bit of care and attention and your roof will look after you very well for a great many years. A little bit of workto keep a roof over your head will prove worthwhile. Related topic- Gutter, Soffit and Fascia Cleaning using scaffold towers find a list of projects in our news section.